A classic Bar and Grill venue with some great homegrown talent and a dash of international flavour. Vintage vinyl covers fixed to brick walls, it sets the mood for an evening of superb talent. 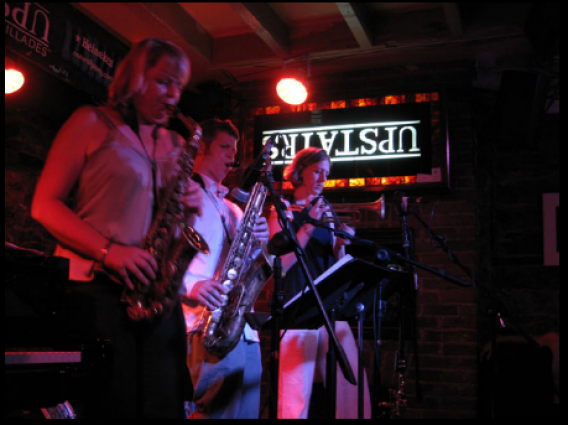 ‘Upstairs’ has become to be one of the best jazz bars in Montreal, playing 52 weeks of the year. This is the place to be if you wanted to have an affair with jazz. It’s a charming place with a great musicality. We’ll look forward to reviewing this club fully in the near future. Playing host to the likes of Lee Konitz, David Liebman, Sheila Jordan, as well as showcase concerts as part of the Montreal Jazz Festival…we can’t wait.